by visiting our programs in central America! Wake up with the birds. Drink locally-grown and roasted coffee. Smell the flowers. Then get your hands dirty! Or stay clean--it's up to you. organize a trip for your business, community organization, church, or school. On your trip, you'll work alongside local experienced Sustainable Harvest International staff and farming families on hands-on projects with long-lasting impacts. When you return home, you'll be able to say: "I helped to build a wood-conserving stove that will improve the health of the family using it AND the land around them." 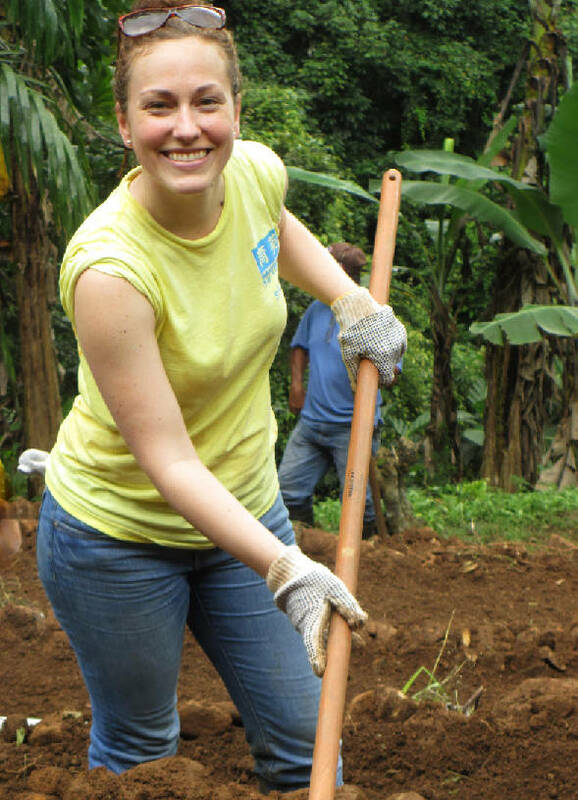 OR "I helped to construct an irrigation system that will provide water for years to come." OR "I helped plant an organic garden that will provide high quality nutrition and income for years!" These unique exchanges are unforgettable and inspiring, for Sustainable Harvest International participant families as well as volunteers. No special skill or experience is needed! trip with our founder, Florence Reed, for 1-6 people. Price dependent upon number of travelers, days, and desired itinerary. Please tell us if you are affiliated with a church, school or community group who is interested in a trip. Thank you for your inquiry! We will follow up with your shortly. If you represent a church, school, or community group and wish to partner with us to sponsor and visit a community in which we work, please click here to learn more. Get notified of future trips! Thinking about traveling with us in the future? Sign up for our mailing list below to be notified of upcoming trips to Central America.